Writing - June Rousso, Ph.D. 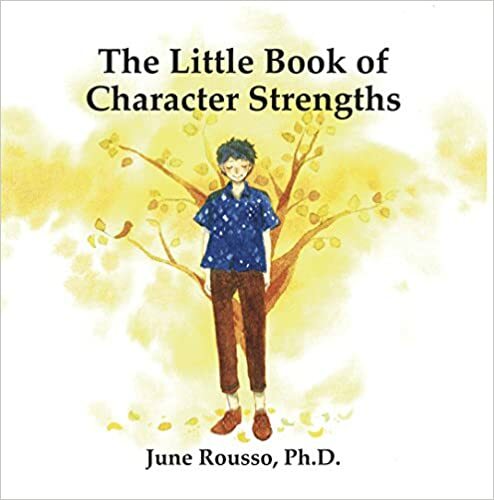 The Little Book of Character Strengths by June Rousso, Ph.D. The Little Book of Character Strengths defines the meaning of twenty-four different character strengths based on the VIA classification and helps children become aware of some of the ways that they can develop their strengths. The book is filled with whimsical illustrations that capture the essence of each of the character strengths. While written primary for children. adults can benefit from the message of the book as well. We All Live in this World Together by June Rousso, Ph.D.
We All Live In This World Together teaches children to focus their attention on inner strengths and the beauty in our world to manage fear while accepting their negative feelings. It shows how letting our fears build can be overwhelming, distort self-image and how we view the world.